Roger Horrocks sets out on a mission many people believe to be suicidal. 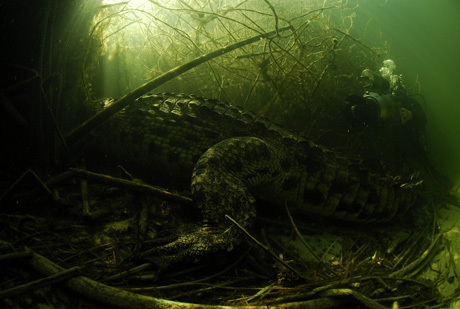 His plan is to dive in the Okavango delta with over twenty feeding crocodiles. 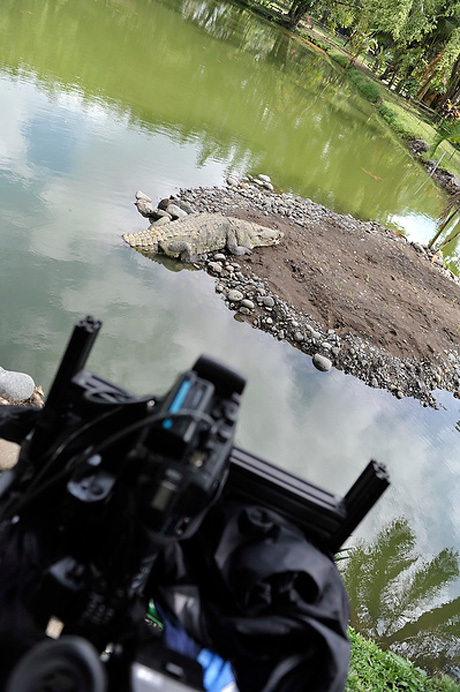 Roger was one of the pioneers of crocodile diving, but now he wants to see if they will accept him in the water, on the kill. The crocodiles rarely attack without forethought, in many cases watching their victims come down to the water for weeks, and then suddenly when they judge the perfect opportunity, they move in with their deadly set of weapons. 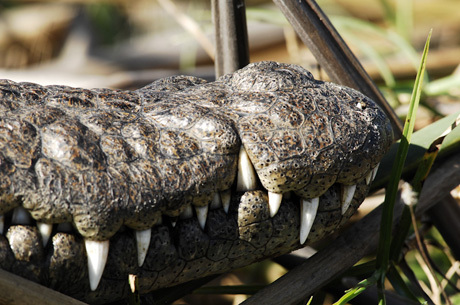 Local people are not the only items on the crocodile menu; their cattle are often preyed upon. The cattle’s blood seeps into the green water and downstream; crocodiles pick up the scent and are drawn together in large groups. Like mythical dragons they congregate to feast on the swollen rotting meat. The feast begins and Roger and veteran shark-man Walter Bernardis enter the water. 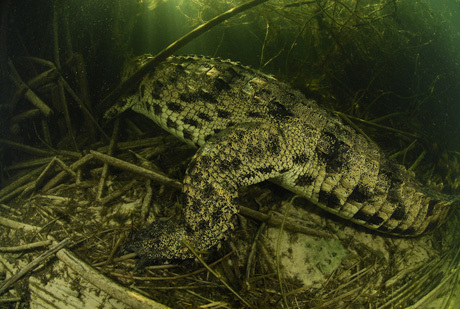 The water quality has dropped and the number of hungry crocodiles has increased, yet the two push on. The feast has a spectacular end with a massive 4 meter crocodile towing Walter across the river and away from the hungry circle of giant reptiles.